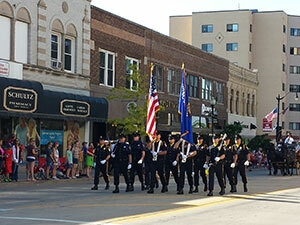 It is the policy of the Oshkosh Police Department to represent the City of Oshkosh in a professional manner when called upon to provide the Honor Guard at any authorized function such as a funeral, parade, ceremony, charitable cause, or other special event. 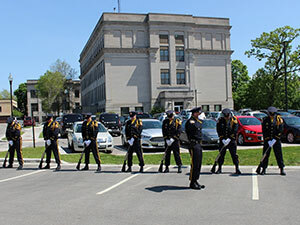 The Honor Guard receives their initial training at an Honor Guard camp that is put on by law enforcement personnel from around the country. 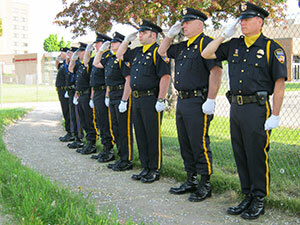 The Oshkosh Police Department Honor Guard Unit is dedicated to the memory of three officers who gave up their lives in the line of duty.